The Devil’s Financial Dictionary (PublicAffairs Books, Nov. 17, 2015, $19.95) skewers the plutocrats and bureaucrats who gave us exploding mortgages, freakish risks, and banks too big to fail. And it distills the complexities, absurdities, and pomposities of Wall Street into plain truths and aphorisms anyone can understand. Note: If you have received a defective copy of the first printing, please click here. Please be advised that copies offered online by what Amazon calls “third-party sellers” may be missing the final 28 pages of text. Some booksellers have been attempting to sell such copies for at least $275 apiece, apparently in the belief that they will be worth even more someday if they become collectibles. That is a big “if.” If you pay more than the $19.95 list price, please don’t blame me if you later feel you didn’t get your money’s worth. Inspired by Ambrose Bierce’s satirical masterpiece, The Devil’s Financial Dictionary is a glossary of all the financial terms you need to know but may never have understood. In each definition, I’ve tried to distill everything I’ve ever learned about a topic down into the fewest number of words with the greatest educational and entertainment value. Wall Street is, in many ways, a giant obfuscation machine, operated on the principles of making simple ideas complex, safe investments risky, and important facts incomprehensible. Alan Greenspan’s words when he was chairman of the Federal Reserve Board apply to the financial industry as well: “If I seem unduly clear to you, you must have misunderstood what I said.” That’s why every investor — if not every citizen — needs a clear translation tool to cut through the jargon of money. The goal of The Devil’s Financial Dictionary is to make you laugh and learn at the same time. I know I’ve never had more fun writing anything in my entire career; I hope you will like it. BULL, n. A person who believes that an asset will go up in price, a belief often based exclusively on the fact that the person happens to own it. GO-ANYWHERE FUND, n. A mutual fund, specializing in stocks or a wider range of assets, that can lose money in every imaginable way — and then some. See also UNCONSTRAINED BOND FUND. RESTRUCTURING, n. The process by which a company that, only a few years before, had eagerly diversified into other businesses un-diversifies even more eagerly right back out of them. ANALYSTs and investors, who had earlier hailed the expansion as essential for growth, will now applaud the contraction as essential for survival. The company’s management will earn big bonuses for adding to “SHAREHOLDER VALUE.” A few thousand employees will lose their jobs, but that strikes the other participants as a small price to pay for restoring the company to its former state of health. Also see sample definitions here. Jason Zweig has long been a brilliant financial journalist. People who have listened to Jason have shielded their assets from the purveyors of costly and useless advice. In The Devil’s Financial Dictionary, Jason turns his wit and insight into arming us with an understanding of the financial terms that too many professionals use to intentionally baffle investors. Jason Zweig, one of the great truth-tellers in financial journalism, is the spiritual heir to Ambrose Bierce, one of the great satirists in American letters. Both use piercing wit to reveal important truths. Finally, in language every investor can understand, The Devil’s Financial Dictionary lays waste to the hubris of Wall Street. The definition of INDEX FUND should be read over and over again. THE DEVIL’S FINANCIAL DICTIONARY, n. A compendium of financial jargon observed to induce in its readers nearly continuous spasms of raucous laughter. Has also been known to produce near-fatal episodes of cognitive dissonance in brokers, advisors, and money managers, who should consume its contents with care. Normal individuals, in contrast, may incur a deepening of financial wisdom, a fattening of the wallet, and an uncontrollable urge to steal entire passages for later use. Someone had to write a short, punchy book on the fibs and fables of Wall Street during this second Gilded Age for the extravagantly-paid manipulators of our financial system. Happily for readers—whether wise, naïve, or victimized—journalist Jason Zweig picked up the challenge, and ran for the winning touchdown with it. Laugh, cry, and learn as you enjoy the sparkling Devil’s Financial Dictionary. Fun, interesting, irreverent, and well-informed, Jason Zweig scores again. You’ll laugh and cry—and send copies to your friends. Both witty and wise—with just a refreshing dash of cynicism—The Devil’s Financial Dictionary should be on every desk in both Wall Street and Main Street. Open this wonderful book to any page. Try not to laugh. I dare you. “DAY TRADER, n. See IDIOT.” Any investor who does not read this witty, insightful and rueful reminder of Wall Street’s financial follies is an IDIOT! A delightfully humorous and stunningly irreverent Ambrose Bierce for financial markets. This satirical critique of what passes for wisdom on Wall Street belongs on the bookshelf of every serious investor. Broad experience, thorough conversance with history, unusual insight, and dashes of humor and cynicism. This is what you need to understand the world of investing, and this is what you’ll find in The Devil’s Financial Dictionary by Jason Zweig. 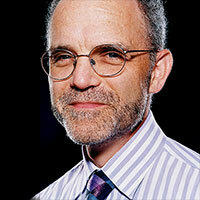 Jason Zweig is a journalist known for his wise investment counsel. But he also has a wicked wit, which is on full display in The Devil’s Financial Dictionary. A fun romp for those who don’t take themselves too seriously. Cynical and exceptionally witty, this book shines a light into the unlit corners of finance. After a lot of laughs, I walked away with a less-distorted view of reality. You’ll love this book. Zweig cuts through financial hypocrisy to expose Wall Street’s cynical core, and does it hilariously. You’ll also get some super-smart investment tips. One of my favorite devilish definitions: “BROKER…buys and sells stocks, bonds, mutual funds, and other assets for people who are under the delusion that the broker is doing something other than guesswork.” Read it and weep. Jason Zweig’s book is absolutely marvelous. It combines wicked humor, scholarly etymology, and superb advice. If you have money invested, you must read this book; if you don’t, read it anyway for pure fun. This is the most amusing presentation of the principles of finance that I have ever seen. If finance were stand-up comedy, Jason Zweig would be its Groucho Marx – a serious man with a wild sense of humor. “DOG: A stock that obeys no command except Down!”…need I say more? I tried to write definitions wittier than Jason Zweig’s but couldn’t. Instead, I laughed, chuckled, and chortled through the book. I bet you will too. “Witty” and “fun” are two adjectives that may never have been used to describe a dictionary, but they apply to this one. But it is not just jokes; I learned a lot browsing around in this clever little book. This is a hybrid work, consisting of serious investment advice combined with nuggets of financial history in the form of a mock dictionary inspired by American journalist Ambrose Bierce’s satirical lexicon, The Devil’s Dictionary, published over a century ago. The result consistently yields pleasure and insight. ….Thanks to the author’s staggering command of his subject, readers of this book will shed costly misconceptions and acquire wisdom that, if accompanied by patience, could pay off richly. The serious message embedded in the book’s humor is that investors who pay attention to stock market lore and Wall Street hype are their own worst enemies in securing their financial future.